He was previously refused procedure at U. of U. after doctors found a trace of THC in his system. 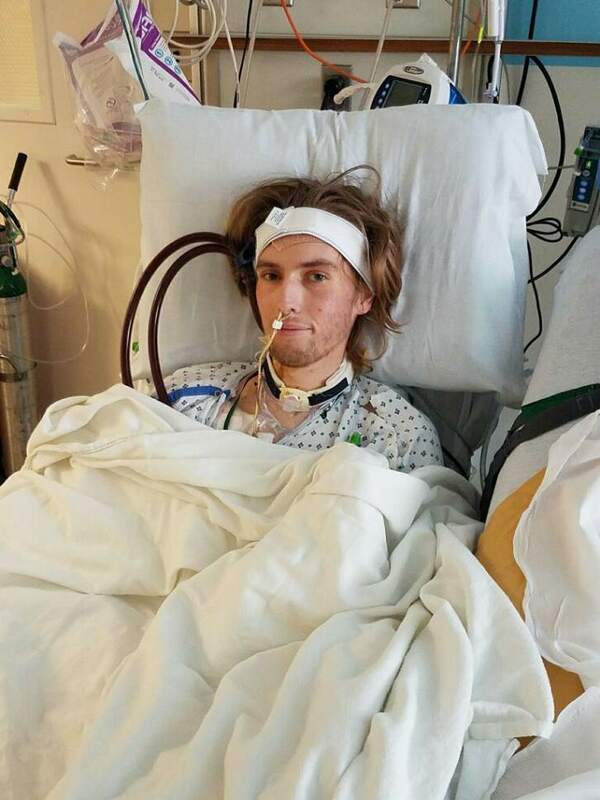 Photo courtesy of the Hancey Family Riley Hancey, 20, died Saturday afternoon in the ICU at the Hospital of the University of Pennsylvania from complications of his double lung transplant. Hancey was denied a spot on the transplant list at the University of Utah Hospital after traces of THC, the main active ingredient of marijuana, were found in his system. 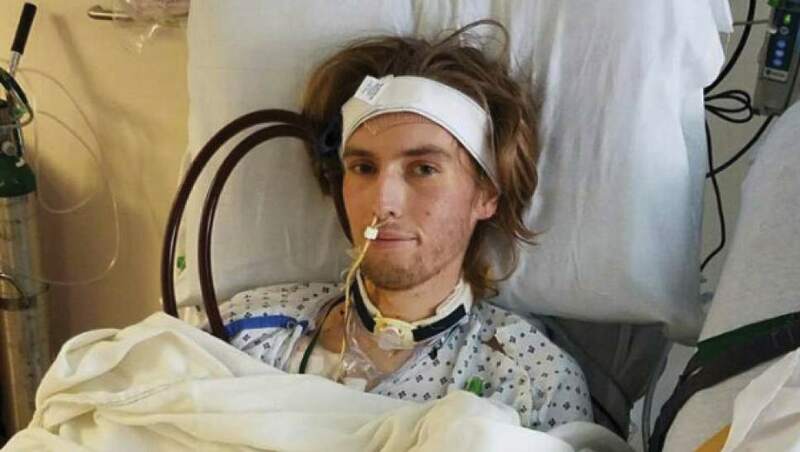 A Park City man who was refused a lung transplant at the University of Utah after doctors found a trace of marijuana in his system died Saturday at the Hospital of the University of Pennsylvania. Riley Hancey and his family celebrated his 20th birthday last week with cake and balloons, weeks after he had undergone a double lung transplant after a severe bout of pneumonia last Thanksgiving. He was surrounded by his father, mother and two aunts about 4 p.m. Saturday when he died from complications of the double lung transplant, his father Mark Hancey said. "This death is unbelievable," Mark Hancey said. "If you could talk about angels, [the UPenn] medical staff they are a group of angels. From the physicians down, I just couldn&apos;t believe it." The outdoor enthusiast was admitted to the U. Hospital on Dec. 2, his father said, and was put on life support two weeks later. He was denied transplant eligibility at the U. in early April after traces of tetrahydrocannabinol, or THC, the main active ingredient in marijuana, were found in his system. At the time, Mark Hancey said his son smoked it with his friends on Thanksgiving after a year of being drug-free. In a statement at the time, the U. said it does not comment on individual patient cases, but university spokeswoman Kathy Wilets said under the hospital&apos;s transplant policy, "We do not transplant organs in patients with active alcohol, tobacco or illicit drug use or dependencies until these issues are addressed, as these substances are contraindicated for a transplant." Patients remain ineligible at least until undergoing a treatment or cessation program, Wilets added. The policy is designed, she said, to give patients a higher chance of surviving surgery and recovery. After Riley Hancey was denied from the U., Mark Hancey said the family searched for hospitals across the country for nearly two months. UPenn added him to its transplant list and moved him to Philadelphia on March 11, where he waited in ICU for matching donor lungs. Doctors there performed a double lung transplant on March 29. Some family members took to social media and other online forums on Sunday to share the news of Riley&apos;s death. His older brother, Zachary Hancey, posted a statement from the family on his personal Facebook page that thanked the medical staffs of UPenn and the U. for their care, and he thanked the family of the donor whose lungs Riley received during his transplant. "It has been a long battle to save Riley&apos;s life. We know that in our hearts we gave him every opportunity to survive," the statement continued. "He will live in our hearts forever. He is now free to climb every mountain and run every river and will continue to do so with his family in spirit." Riley spent more than 68 days in the ICU at University Hospital, according to a YouCaring page created to help the Hancey family with out-of-pocket expenses related to Riley Hancey&apos;s care. The page further described how he relied on a tracheotomy and a lung machine to provide oxygen to his blood. The page began posting in February and has raised almost $24,400 for Riley and his family, as of 6 p.m. Sunday. Nearly 250 people have made a donation to the page.